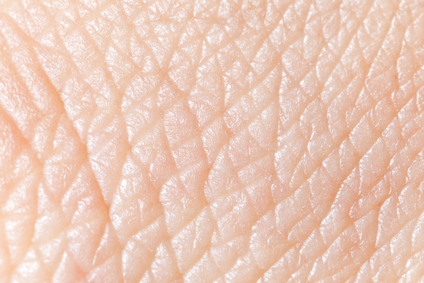 A regenerative medicine treatment for skin burns developed by Stratatech could make it to the market more quickly following a regulatory decision announced Tuesday. The FDA has designated StrataGraft, a Stratatech-developed sheet of living tissue made from human cells that form into skin, as a Regenerative Medicine Advanced Therapy (RMAT), the company said. Drugs that treat rare diseases or life-threatening conditions can be placed on a faster regulatory pathway. RMAT creates that faster pathway for regenerative medicine products, including cell therapies and tissue-based products like StrataGraft. The designation allows companies to speak with the FDA earlier and more frequently during the regulatory process. RMAT doesn’t guarantee approval, but if all goes well, it could lead to a quicker FDA decision on the product. Madison, WI-based Stratatech is a subsidiary of Mallinckrodt (NYSE: MNK). The U.K. pharmaceuticals giant acquired Stratatech a year ago for $76 million upfront, plus potential future milestone payments. The RMAT designation was created under a provision in the 21st Century Cures Act, which former President Barack Obama signed into law in December. The program is aimed in part at encouraging the development and approval of regenerative medicine products. Marks said that the FDA’s discussion with a company about an accelerated pathway may include “surrogate endpoints,” early signs that the treatment is working. Evaluating a treatment on these earlier signals could mean shorter clinical trials than what the FDA typically requires for approval. But Marks also cautions that these studies must come from a “meaningful number of sites.” The FDA can require companies developing RMAT-designated drugs to take certain steps after their products are approved, he wrote. In March, the FDA issued one of its first RMAT designations. It went to North Carolina-based Humacyte, for the company’s bioengineered blood vessel technology. A drug is only eligible to receive RMAT designation if it meets certain FDA-established criteria. For example, companies seeking the designation need to provide the FDA with clinical evidence suggesting the product could address unmet medical needs for a serious or life-threatening disease or condition. Some of the funding Stratatech received to develop StrataGraft came from the Biomedical Advanced Research and Development Authority. The organization is housed within the U.S. Department of Health and Human Services and is part of a government defense network preparing for the possibility of mass casualties due to terrorist attacks. Traditionally, patients with deep partial-thickness burns are treated with an autograft. That’s a procedure in which tissue from another part of a patient’s body is surgically removed and grafted onto the wounded area. By contrast, StrataGraft is living tissue made from a type of human keratinocyte progenitor cells, cells that go on to form skin. StrataGraft tissue can be sutured, stapled, or put into place using an adhesive.